The season for wrapping up warm and layering up is finally upon us, with the temperatures gradually starting to drop as we get closer to Christmas. Whether this makes you excited for the winter season, or you’re dreading it just a little bit, you can’t deny that the winter wardrobe is something to be desired. Knitwear is here in a big way and it’s time to give your wardrobe a revamp in time for the new season. 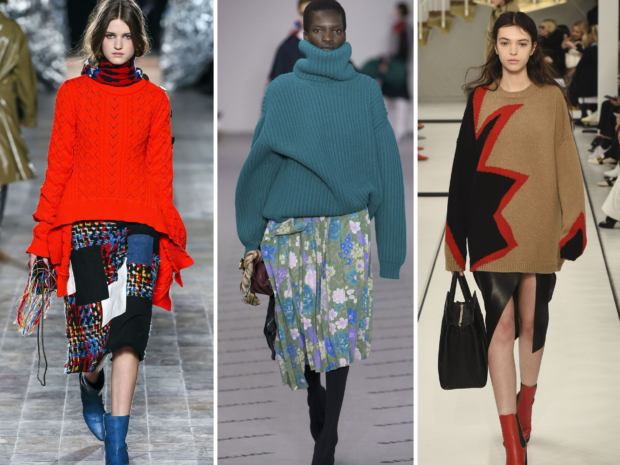 So, if you’re hoping to update your clothing collection with the latest women’s knitwear, here is just some inspiration on the pieces you should be keeping an eye out for. As part of the AW17 season, women’s wholesale knitwear has taken on a number of different designs that are perfect for tackling the cold weather. Whether you’re hoping for something to extend your workwear collection, or you need something to accommodate for those lazy evenings on the sofa, you can be sure that this season’s styles have the answer. Using the season’s key colours including black, khaki, mustard yellow and burgundy, women’s knitwear has never been more ready to jump from the catwalk straight to your shelves. From cropped jumpers to midi dresses, you’ll be spoilt for choice when it comes to keeping warm and staying stylish. A staple winter piece that seems to resurface every year is the knitted jumper dress. Versatile and flattering, it can take your collection from the office to the bar effortlessly thanks to its design. Popular styles of knitted jumper dresses this season include using the traditional cable knit pattern, while other dresses have taken on the distressed trend, frill sleeves and even Bardot necklines. From bodycon dresses to asymmetric hems, knitted jumper dresses have come back in full force ahead of the winter months. With many designs coming in several colours and patterns, you might find your collection growing more than you first anticipated! Stripes were seen in catwalk shows such as Chloé and Lanvin, while bold shades were used at Miu Miu. If you’re hoping to embrace the knitwear trend but add a little more of an edge to your ensemble, cropped jumpers provide an alternative that hits all the style notes. Cropped jumpers are much more wearable when it comes to high waisted jeans and skirts, as they’re likely to sit on the waist or even slightly higher. This design allows you to get more out of your knitwear, mixing and matching with different styles throughout the season. You may think a cropped style isn’t the most practical, but thanks to the ever-popular trend of layering, you can incorporate this look much more easily than you first thought. If there’s one approach to knitwear that has been prevalent for this winter, it’s the oversized look. Slouched, cosy jumpers are the new go-to, as was demonstrated at the AW17 Balenciaga, Jil Sander and Mulberry shows. Effortless and low maintenance, slouched, relaxed jumpers are the ideal style for the plummeting temperatures. Making sure you’re cosy and right on trend all in one go, an oversized jumper is a popular way to go this year.